Bought this for my son - he loves the ease of using it. Good quality that should last a long time. Would highly recommend this product to others. 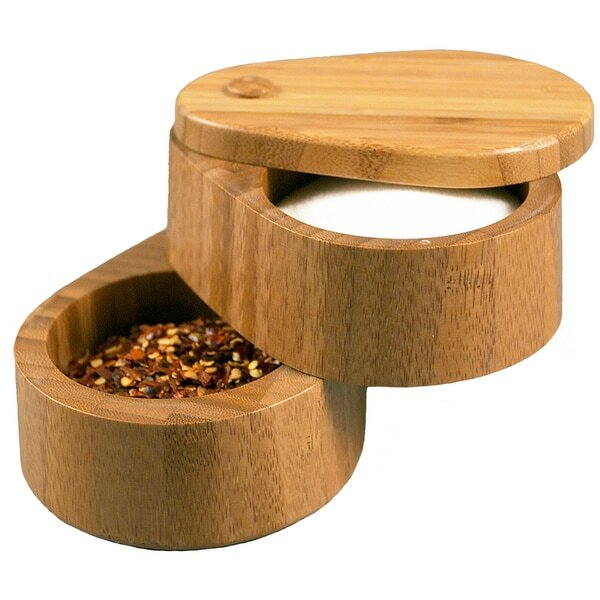 Totally Bamboo's double salt box is cute, simple and easy to use. This box has an easy slide-off top that rotates a full 360-degrees and has enough space to store two different types of spices and other items. Toss this convenient box into your picnic basket to ensure you have your favorite spices or herbs when away from home, or use it as a minimalist centerpiece on a small kitchen table. The smooth bamboo material is lightweight and brings a touch of nature into your home, making it the perfect fit for your made-from-scratch dinner. Need 2 boxes, one for Kosher and one for Himalayan salt. Worked perfectly. Easy to use while cooking. Totally stoked about this salt box. I think it will be an awesome addition to my kitchen!